Two birds one stone hey? Sounds damn good. But we bet you aren’t actually aware of the *birds* you are supposed to be killing… Here at Spicy HQ, we keep our ears to the ground on all things web/design/marketing and more. Researching and staying up to date on the latest trends, legislation changes and tech updates is something we are fanatics about. So take a moment from your hectic schedule and read about the birds you need to be aware of. 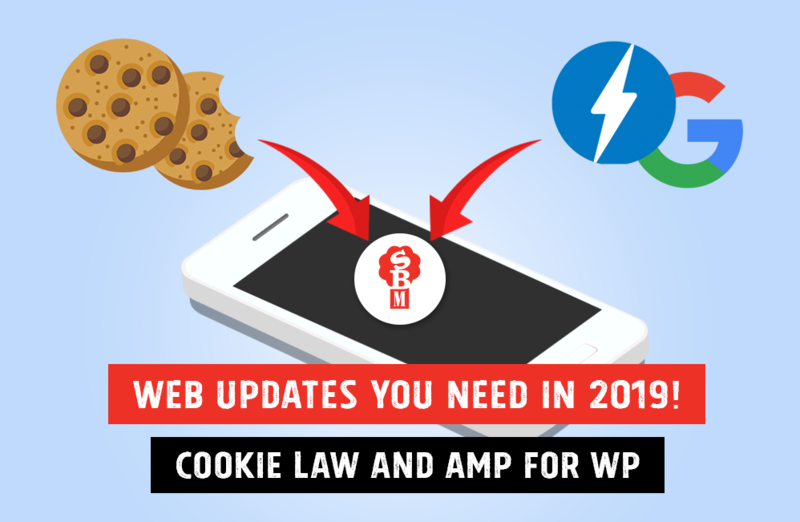 Website owners must make sure that their site complies with the (cookie) law. You risk enforcement action from regulators if your website does not comply, with the potential of a fine in extreme cases. Non-compliance has other potential consequences as well, with consumers tending to steer clear of websites where they think their privacy may be at risk. Use a cookie audit to work out which cookies your site sets and what they are used for. Make sure that you acquire user consent from people who visit your website. Run by Google, AMP allows users to create extremely fast, smooth-scrolling, and stripped-down versions of their web pages. They are designed to be viewed on mobile devices and tablets and create a user-friendly experience. It is also fully compatible with WordPress. A boost to Search Engine Optimization. The biggest and most obvious benefit of Google AMP is improved boosting speeds. This is important because page speed, such as a blog post, is a large factor in deciding where a website ranks in Search Engine Results Pages. This improved speed can help your website move up the ranks within search engines and be seen more. An enhanced user experience. Google AMP makes it extremely easy to create user-friendly mobile websites. Research has shown that slow-loading pages accumulate a higher bounce rate, and consumers will often leave a website if it has not been optimised for mobile phones or tablets. Support for all content. The AMP Project website outlines that the goal is for “all content, from news stories to videos and from blogs to commerce pages and GIFs,” to be optimised on AMP sites. Through AMP you can maintain your site’s branding, customise your styling, personal data, facebook pixel, personal information, google analytics, gdpr compliancy and keep your website fetching current data, all in a format that’s optimised for mobile access. A clear set-up process. Google’s AMP is built upon existing web developing technology and is integrated with the popular web hosting platform WordPress. Since we already use WordPress here in Spicy HQ, our web developers are able to incorporate AMP into the websites we work on, using similar processes. So now that you know about these potential cliff falls that you definitely don’t want your website falling for, let’s talk. or give us a call on +61 (02) 8084 5554!